About 300 jobs will be lost when a warehouse that supplies deliveries to House of Fraser stores and its customers closes. Workers have been told that the site in Wellingborough, Northamptonshire, will shut on 10 April, a union has said. The Usdaw union said the announcement ended “months of uncertainty for staff, who are understandably upset by the proposed closure”. XPO Logistics, which operates the site, has not commented. The firm also closed another warehouse in Milton Keynes in November with the loss of more than 300 jobs, according to the GMB union which represents some workers there. In August, it emerged more than 600 jobs were under threat as XPO was owed £30.4m by the troubled shopping chain, according to its administrator. 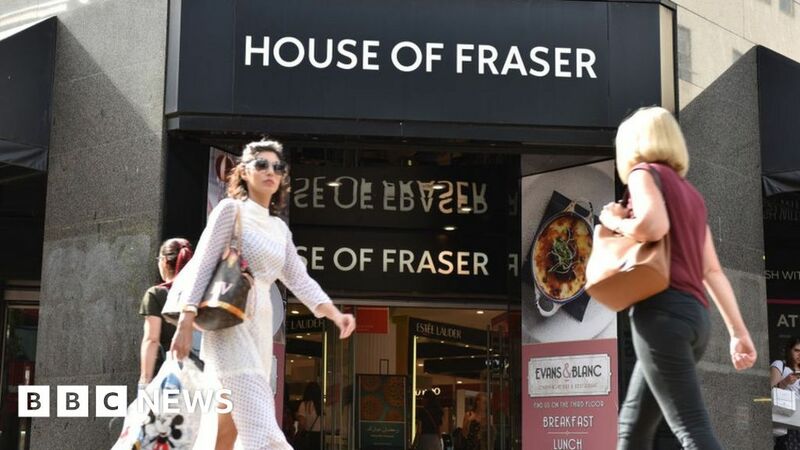 House of Fraser, which has more than 50 stores across the UK, was bought by Mike Ashley’s Sports Direct just hours after it went into administration. Dave Thom, Usdaw’s area organiser, said staff it represented in Wellingborough were “understandably upset”. “There were clearly doubts over the future of XPO’s involvement in House of Fraser, following its sale to Sports Direct,” he added. He said Usdaw was “entering into consultation talks with the company to secure the best possible deal for our members”.